Here’s a cute idea! 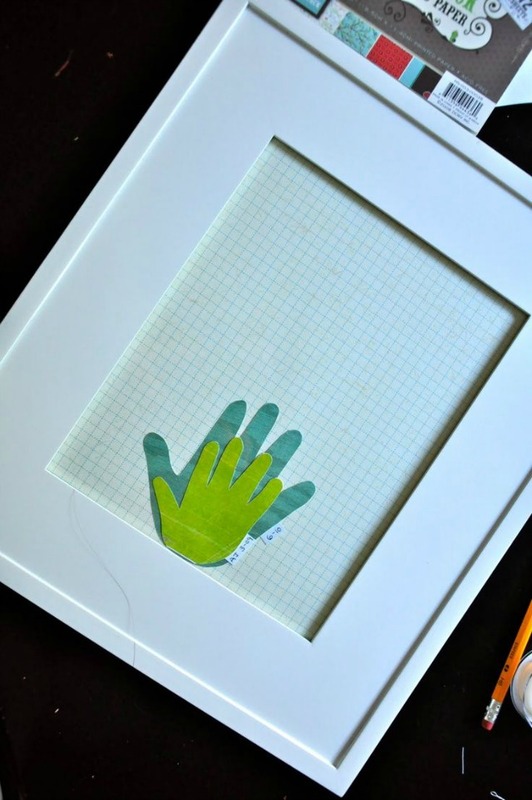 Take those shadow box projects to the next level by adding a time stamp. 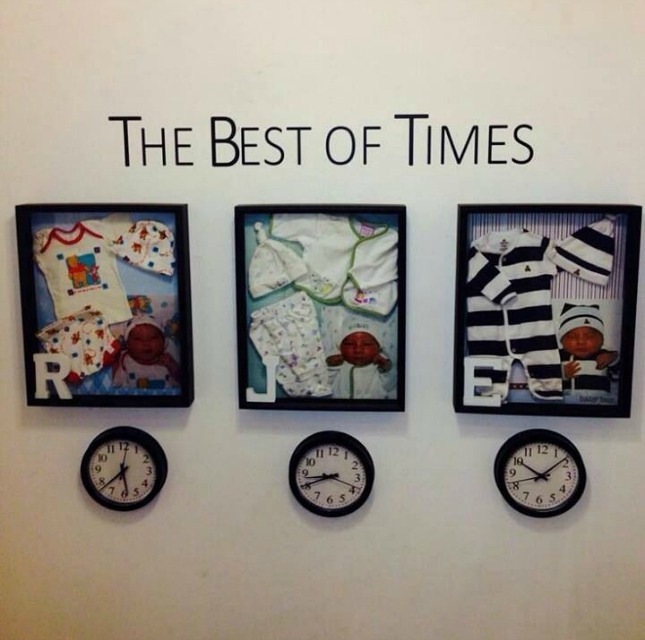 Purchase a small clock to display your baby’s time of birth. It’s OK if you don’t know the exact second. Don’t get rid of those newborn onesies. 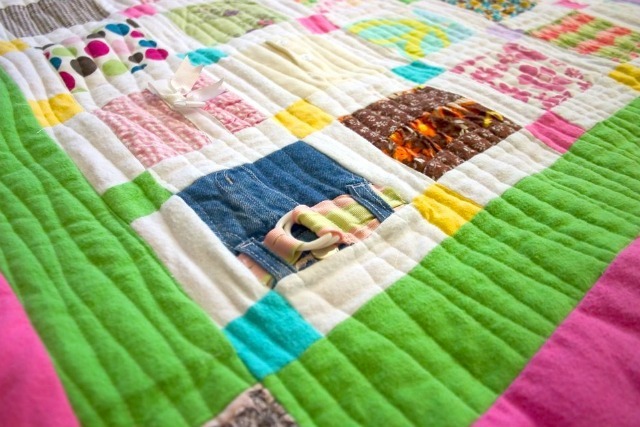 Didn’t you know you can turn them into an adorable quilt for your growing baby? ‘Tis the season to be sentimental! This DIY holiday ornament allows you to show off your newborn’s birth items in a really amazing way. Who knows, it just might be the perfect gift for grandparents … or just a sweet wall-hanging for the nursery. If you happen to be handy with a hammer and plywood, you definitely need to take a look at this DIY project. 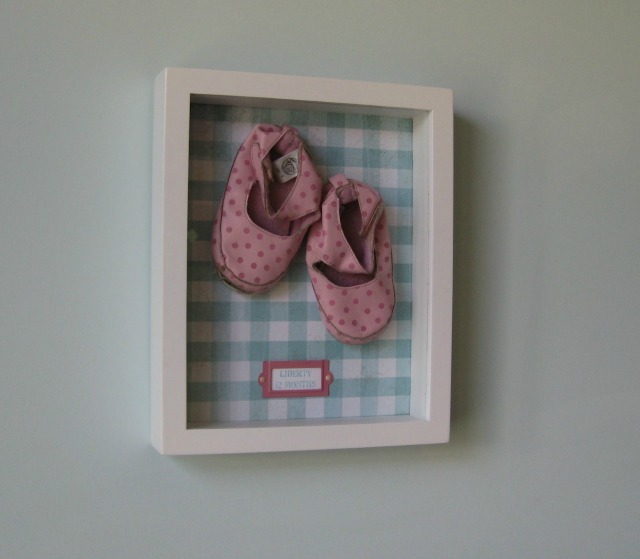 Capture your little one’s sweetest moments by creating a wall frame that can display important milestones and fashion accessories. Any parent will tell you babies grow pretty fast. Capture their smaller moments by tracing their hand each month or birthday. You can frame it when they reach a certain age. Baby shoes are so precious. They’re tiny and come in super cute styles. Put those fashionable accessories in a cute shadow box or frame that you can decorate with cardstock, tissue paper and any other craft supplies your heart desires.